A Small Quilt That Will be Wonderful in Your Favorite Colors! 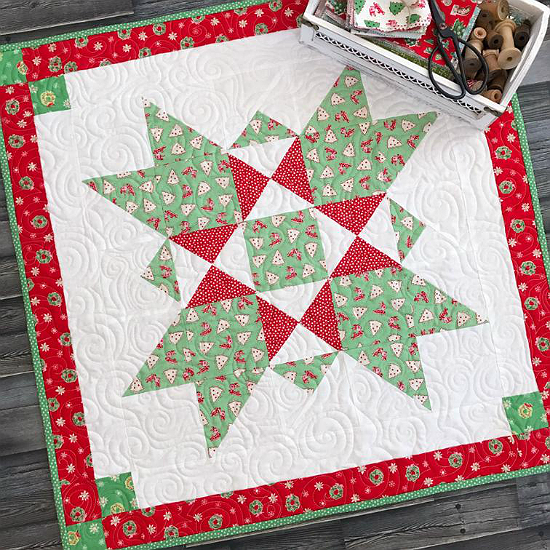 This beautiful little quilt will be so lovely on your table. Or hang it on a wall for extra holiday cheer. 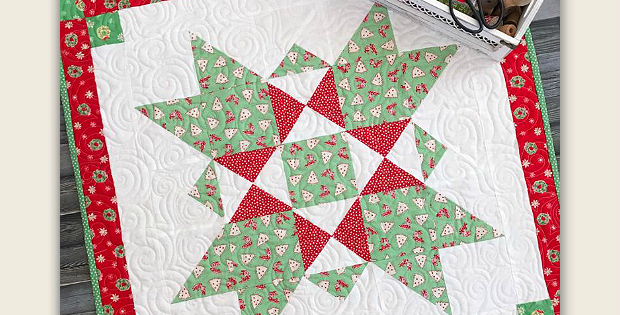 The quilt is pretty in holiday colors and fabrics but it will be wonderful in other colors as well. Choose fabrics you love, those for a particular season or match your decor. 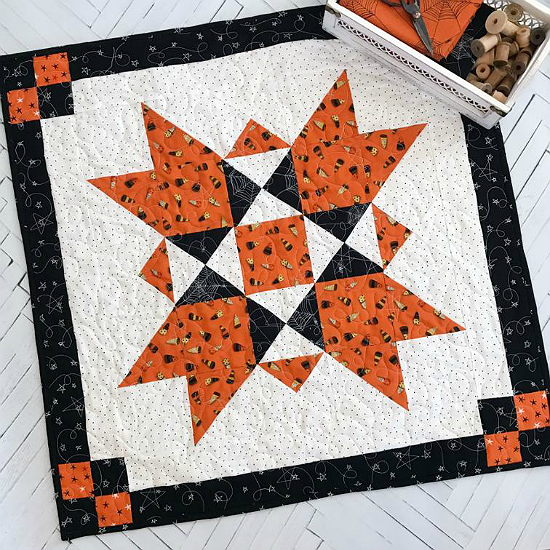 This is a simple project that experienced quilters can have finished in just a few hours. Beginning quilters may need more time but it’s still a relatively quick project. The quilt, from Primrose Cottage Quilts, is 28″ x 28″ once completed. 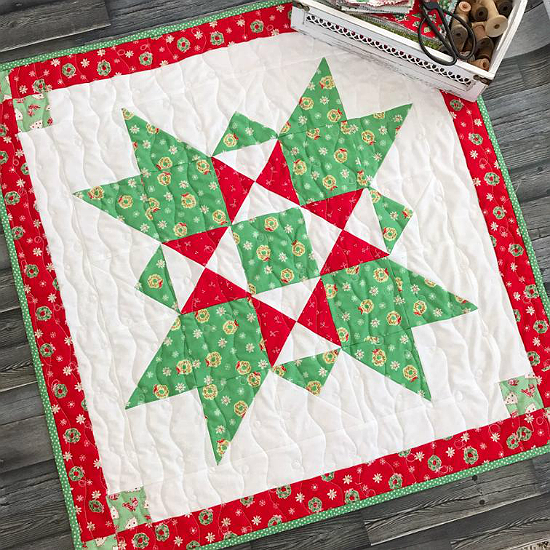 Click here to purchase the “Joyful Star” quilt pattern.